Chennai Super Kings (CSK) is all set to play Kolkata Knight Riders (KKR) in the match no 23 of VIVO Indian Premier League (IPL), 2019. The action will take place at CSK home ground M A Chidambaram Stadium. Both Chennai and Kolkata are currently positioned at the top of the point table, where KKR is little ahead of CSK in terms of Net Run Rate (NRR). Ahead of CSK vs KKR, Chennai shares a video of their all-rounder Dwayne Bravo becoming a hair stylist for his teammate Monu Singh. IPL 2019 Today's Cricket Match: Schedule, Start Time, Points Table, Live Streaming, Live Score of April 09 T20 Game and Highlights of Previous Matches! Dwayne Bravo is one of the key players for the CSK team, as he has helped his team win many matches in IPL. In this season of IPL 2019, he had bowled an amazing last over against Rajasthan Royals (RR) to defend 12 runs, where he had dismissed RR set batsman Ben Stokes and Jofra Archer to lead his side to 8 runs victory. Bravo missed out on CSK last game against KXIP due to a hamstring injury. Bravo might make it to the playing XI in the upcoming game against Kolkata. Chennai Super Kings vs Kolkata Knight Riders Live Cricket Score 23th T20 Match. The upcoming game between CSK and KKR is going to be the clash of the Titans. Both the teams are equally aggressive with a never say die attitude. 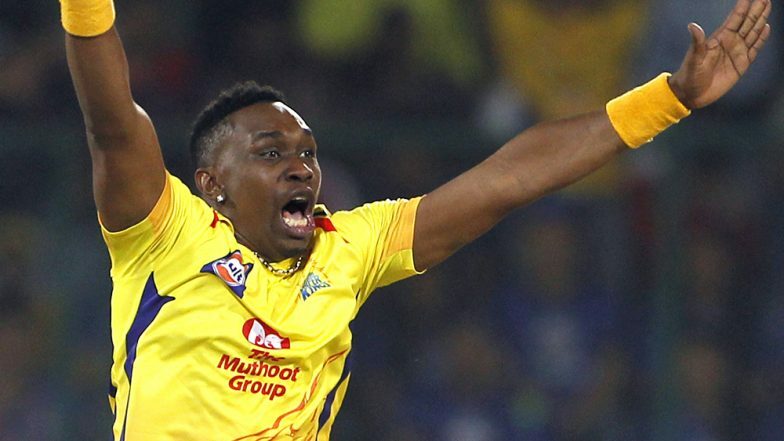 If Dwayne Bravo plays in the upcoming game against Kolkata, it will be interesting to see his battle with Andre Russell who also comes from the Caribbean island.